Swinging through trees, zip-lining & hitting bullseyes! This Saturday we got up early, dropped the dog off at N’s mum’s, and drove just over an hour to visit the Tamar Trails outdoor activity centre, just a stone’s throw from the Tamar river Cornwall/Devon border in Gulworthy. 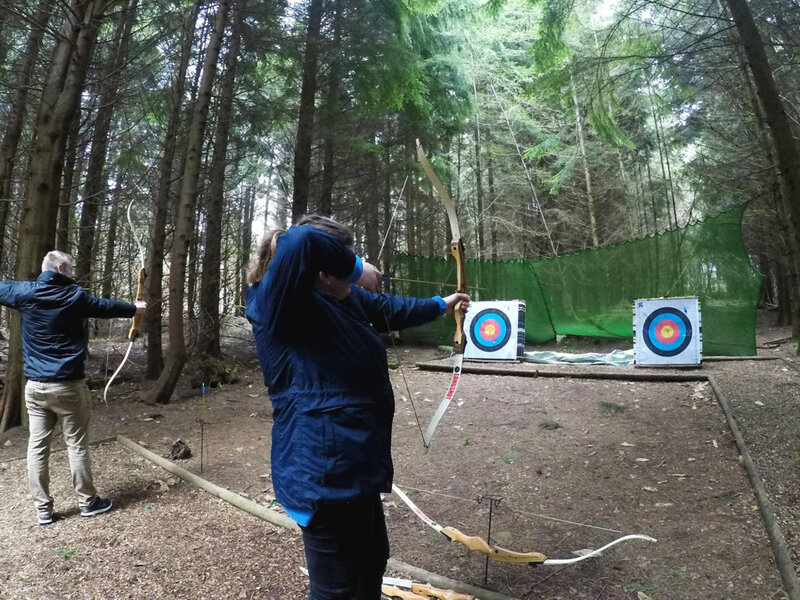 We’d been invited along with a couple of other local bloggers, to have a ‘taster day’ experiencing the fun activities that Tamar Trails has to offer. The lovely Alice & Adam from Wooden Windowsills blog were there which was awesome and gave us a good opportunity to catch up, plus Zoe from Blossom Bite, who is also based in Plymouth, with her friend Elle. They were both super nice and it was great to meet and spend the day with them too! We rocked up around 10:30am and were introduced to the area by one of the owners, Kate Blake. The centre is a based in the Tamar Valley Area of Outstanding Natural Beauty and stretches over 25km, providing an amazing place for hikers, dog walkers, cyclists and other adventure seekers to view what used to be part of the Cornwall and West Devon Mining World Heritage site. 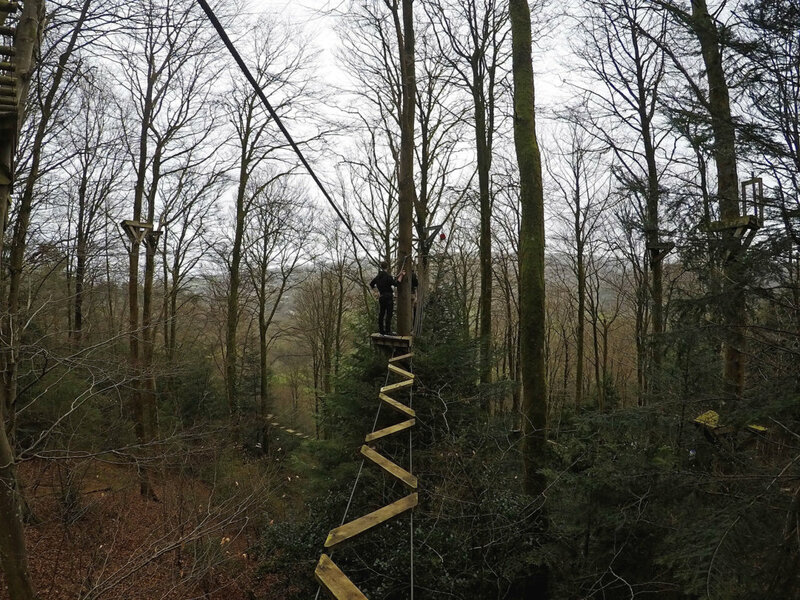 As a group, we were taken over to the Tree Surfers high ropes area, to try out Course Three (the most advanced one!). After being taught the safety instructions and shown how the harness connections work by instructor, Tom, we climbed up the ladders into the treetops. 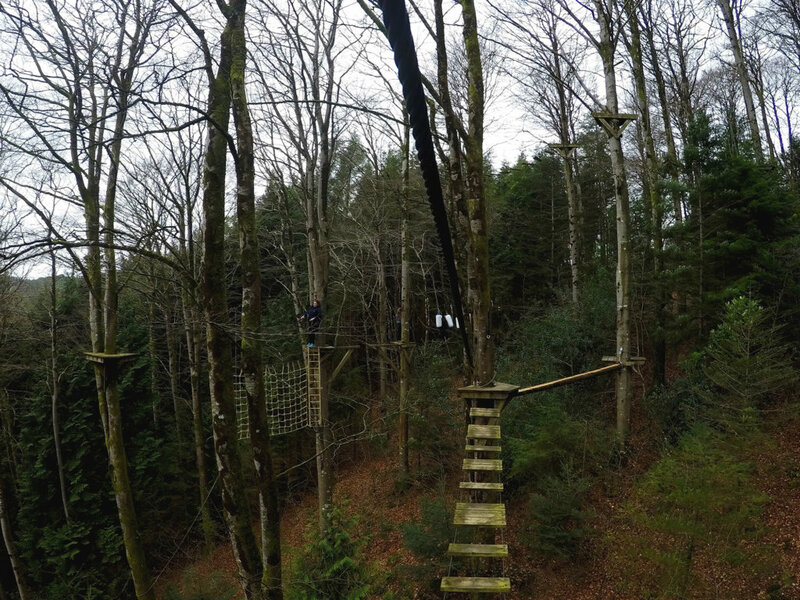 Here, we were met with a series of wobbling bridges, rope obstacle courses, and zipwires, and spent just over an hour laughing and screaming our way through the trees! It was heaps of fun and I’d totally do it again; it was definitely the perfect activity for a hen or stag do, or even just an epic birthday celebration! We finished off the afternoon with an archery session with new instructor Gabby (she was awesome and really funny, by the way! ), and I may have actually managed to hit some balloons … shock horror, my aim was not as terrible as I first thought! Thanks so much to the Tamar Trails guys for having us and giving us a taster of the activities; it was a super fun day and I can’t wait to come back! Have you ever done ‘tree surfing’/high ropes courses before?